Perhaps as an indication of the dangerous direction China is lurching towards is the loud thinking among official circles that there should be a campaign to root out subversive ideas from the West. Research centres and educational institutions across the country have been ordered to stamp these out. No less a figure than China’s education minister, Yuan Guiren, made this thundering command. This is to protect the integrity of the party and socialism. There is no word about people needing protection from the party. China is a vital engine of a globalised world. In order to maintain this role, the country needs to open up more and not close its doors to fresh ideas emanating from outside its shores. Within China there is strong public support for the current anti-corruption drive. But there is less so for any future campaign to root out what Beijing considers corrupting ideas from outside. Indeed there might be a backlash. The Chinese people’s judgment is that they vote yes to the campaign against corruption and no to the possible campaign against non-Chinese ideas. In Tibet, things are worse. The authorities want to wage a war on how people think. Among other things the authorities want to root out the Tibetan people’s devotion to His Holiness the Dalai Lama and any idea of self-immolation. The authorities have yet to spell out the details of their master plan of how to get into Tibetans’ minds to separate loyal from subversive ideas but they are determined to do this with help from “nets in the sky and traps on the ground,” in short the extensive and intrusive surveillance network placed in Tibet, and outright bribery. To control and regulate how six million Tibetans think is one thing but to control the minds of 1.3 billion Chinese is an undertaking of imperial pretension. Chinese emperors in the past have tried this, from book burning to burying scholars in the ground to erecting the Great Wall. 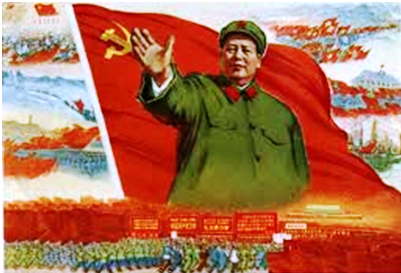 The last Chinese emperor to undertake this daunting task was Mao. His campaigns from the Hundred Flowers through the anti-rightist to the Cultural Revolution sapped the energy of China and decimated its population. In response China got Deng and his counter-cultural revolution, a communist party superbly supervising a booming capitalist society. President Xi Jinping’s anti- corruption campaign is laudable. This is what China needs. But to tell the 1.3 billion Chinese that the party will think their thoughts is beyond the party’s dwindling intellectual resources and certainly beyond the governance responsibility of any party, elected or un-elected. In short, the responsibility of any government is to govern and not think on behalf of those they govern. If any ruling party attempts to do this it will lead to what Mao would call ideological chaos and greater social contradictions. And the response from the public would be, govern us justly. We will do our own thinking. And back off from our backs and minds!